How Can Vocational Education Empower the Physically Challenged? What are vocational skills and how can they help? The economy comprises various sectors the functioning of which is underpinned on certain specialized skills, notably related to IT and digital technology. The industry requires people equipped with vocational skills to address emerging business dynamics and the growing market demand for quality goods/services. This is needed to stay competitive, deliver a better end user experience, and enhance brand recognition. The need of the hour is to equip people, especially the physically and visually challenged, with the necessary vocational skills so that they not only meet the dynamically changing industry needs but acquire aspirational livelihoods as well. 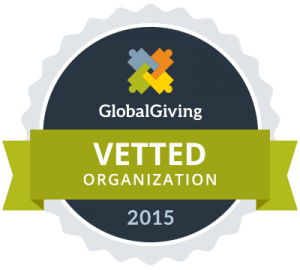 As a non-profit organization, we, at Anudip, have always been at the forefront of empowering people from socially marginalized groups. 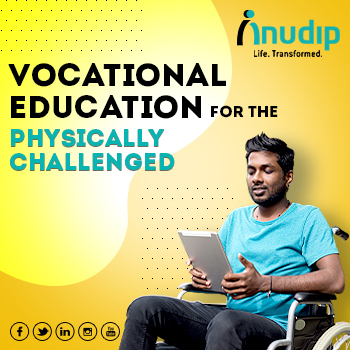 Our SAVE or Specially Abled Vocational Education program helps physically as well as visually challenged individuals from deprived communities transform their lives through IT-based skill development courses and corporate job placements. We impart IT-based vocational training in SAVE training centres for 20 hours a week. The course duration depends on the content and practice that more or less lasts from two to three months. Importantly, we have a mentorship program wherein the successful candidates placed in various companies are tracked for six months and mentored. This way we help our candidates to successfully adapt to the new work environment, add value to the organization, and achieve success in their respective careers. To illustrate as to how the training at Anudip has helped transform the lives of physically challenged persons, we cite the example of Moyna, a young girl suffering from congenital deformities in both her upper arms. Moyna travelled from her native village in the remote Jangalmahal area of West Bengal to our SAVE centre at Debra in West Midnapore and underwent courses for employment comprising learning computers and communicative English in the corporate world. It gives us immense pride to share with you that Moyna, post completion of 3 months of training and practice, joined Minacs Pvt. Ltd., as a Customer Service Executive. Today, after completing one and a half years in the company she earns INR 12,000 per month and has become the principal earning member of her family.